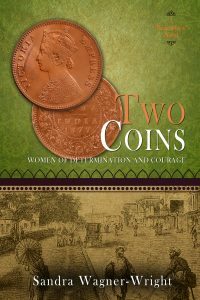 My latest book, Two Coins: A Biographical Novel, officially released this past Friday, February 1, 2019. 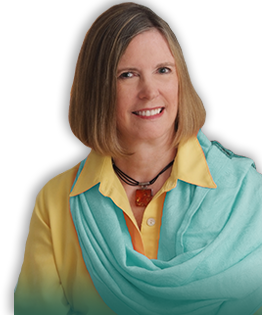 And, I’m excited to share some of the background to Mary Pigot’s story, and how I found it. 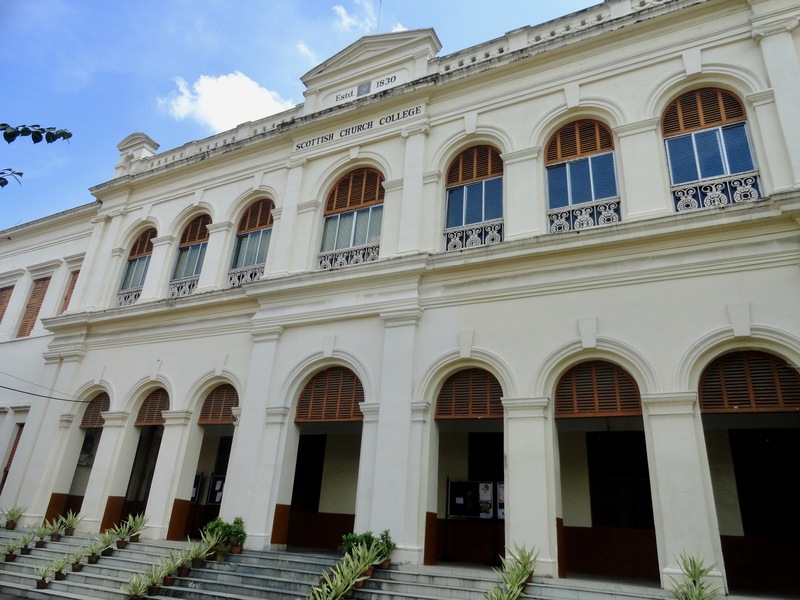 While doing research for Rama’s Labyrinth, I ran across several references to the case of Pigot vs. Hastie, a civil suit filed in the Calcutta High Court in 1883. In its bare bones, the case concerned Mary Pigot, Superintendent of the Female Mission in Calcutta, and The Reverend William Hastie, Principal of the General Assembly’s Institute. Both organizations were part of the Church of Scotland. 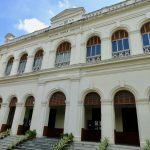 Among the charges Miss Pigot refuted, there was an allegation of illicit relations between Miss Pigot and Babu Kali Churn Banerjee, a native Christian, and also between Miss Pigot and a married missionary, Mr. James Wilson. Mary was most often mentioned as someone who violated rules of inter-racial relations. I thought there was more to the story, and began my own investigation. 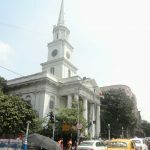 Calcutta was the capital of British India until the government transferred to New Delhi in 1931, so one area of interest was what life was like in the colonial city. I researched the town plans, domestic arrangements, and menus. I wanted to understand what life was like in this city on the Hugli River where modernity hasn’t removed historical traces. 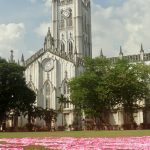 In 2016 I traveled to Kolkata, to see where events took place. 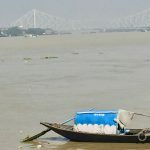 This scene on the Hugli River, for example, has a modern suspension bridge in the background, but the small boat hasn’t changed radically from what its ancestor looked like. 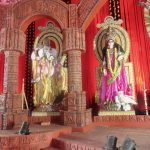 Images for Durga Puja aren’t so different from what they were in the 19th century. St. Paul’s Cathedral, where Mary Pigot was baptized, is an incongruous European structure, as is St. Andrew’s Kirk, the religious center of the Scottish community. As Superintendent of the Female Mission, Mary was supposed to attend St. Andrew’s, but she preferred the native Indian church. A preference her detractors saw as flouting their authority. 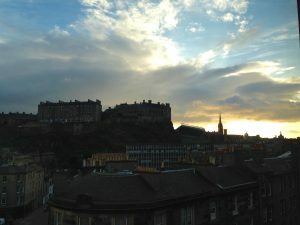 Scottish Church College began its life as the General Assembly’s Institution. When Reverend William Hastie arrived in 1879 it was as Principal of that educational institution, a position he thought placed him as head of the entire Scottish missionary enterprise. Mary Pigot disagreed, and the seeds of discord were sown. William Hastie observed that he always knew he was home when he could see Edinburgh Castle. 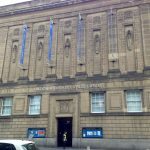 I went to the Edinburgh to consult the records of the Scottish Missionary Society and the Ladies’ Association, now located in the National Library of Scotland. Here I found minutes and reports, often containing pictures of people involved in the case. And I went in search of Number 23 Princes Street, where Mary met with members of the Ladies’ Association. 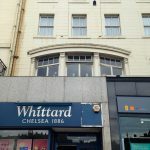 The building where Mary’s interrogators questioned her abilities, now appears hidden behind the bay windows in back of Whittard’s. My last research stop was the British Library in London where I was able to read daily accounts of the trial of Pigot v. Hastie in the Indian Daily News. Intrigued? I hope so. 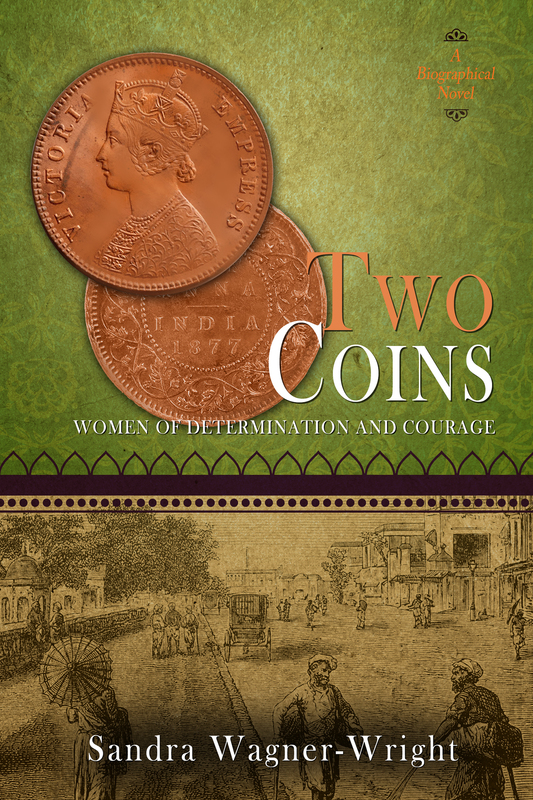 Two Coins is available in an eBook edition at Amazon, iBooks, Barnes and Noble, and Kobo. The print edition is at Amazon and Barnes and Noble. Next week: Illustrations of the people in Two Coins.